Beautifinous. : Dr. PawPaw Balm Collection - now awarded PETA badge! Dr. PawPaw Balm Collection - now awarded PETA badge! 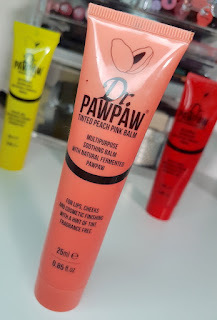 If you’re a regular reader of the blog then it should come as no surprise that I love a multitasking product, and if you’ve been reading the blog for long enough, then you may have already seen my review for the original Dr. PawPaw Balm. If you haven’t heard of it before, the Dr. PawPaw Balm is made up of a blend of natural ingredients, including fermented paw paw which is the fruit of the plant Carica Papaya that has been found to contain numerous natural healing qualities. It’s great to use for a whole variety of things, such as on your lips, dry patches of skin, cuticles, on the hair, and so on. Today, however, I have some exciting news about the Original Balm and its tinted variants; they have now been awarded the PETA badge! 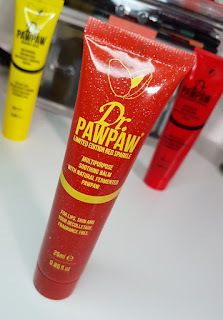 This means that they are now recognised as being fully animal cruelty free AND vegan, so if you are looking for beauty products that you can be assured are cruelty free, then todays post may be of interest to you. In celebration of the news, I have got here not only the Original Balm, but both of the core tinted variations in Tinted Peach and Tinted Ultimate Red, and the limited edition Tinted Red Sparkle Balm to discuss with you all today! 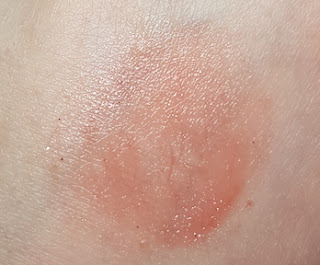 As I have already reviewed the Original Balm before, I won’t repeat myself too much here in regards to discussing it. Instead, this post is looking to focus primarily on the tinted balms along with swatches of them in use. Each balm comes packaged in a tube that comes with 25ml of product (the original comes in a larger size of 200ml and the smaller size of 10ml as well). Each tube comes in the shade of the balm inside (minus the original one in the yellow tube - the balm is translucent and colour-free). The balm itself is quite a thick, paste like texture. 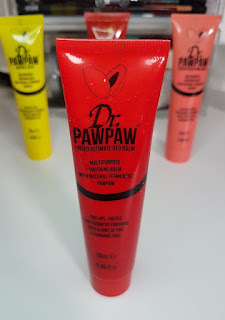 The great thing about the Dr. PawPaw balms are that you can apply them in a whole variety of ways. 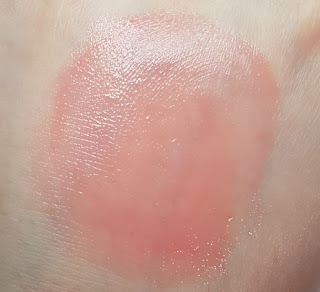 In my review for the Original Balm I went more into detail about the skincare benefits and the different ways you can use it, but like I said above, in this post I’ll be looking more at the tinted balms and therefore the more aesthetic side of them and how they can work in your makeup routine. Whilst I personally find that each of the shades have their strengths in particular areas (more on those during the swatches), they all share the great skincare benefits of the original. Therefore, wherever or however you decide to use them, you don’t lose any of the amazingness of the original. One of my favourite things about these balms is that you can choose how to use them. They are fantastic for those days where you don’t want to wear makeup but may want to have a little flush of colour, for example. You can dab a tiny bit on the apples of your cheeks, blend and go without the use of anything else. Alternatively, you could apply one as a cream blush over foundation, or as a lip balm, on your eyelids and so on. I do believe that each individual will find ways to use these that suit them, their lifestyle and their skin type. For example, I have very oily skin. Using these as a blush on bare skin for me can make my skin even oilier (they do contain olive oil), and therefore in this respect they don’t work as well. However, on drier, bare skin, they would be fantastic and would even add a healthy looking glow. Over foundation, those with oilier skin can get away with it, but at the end of the day, it’s all down to what you like and how you want to try them. Now let’s take a look at each of the shades a little more closely. Even though you'd probably expect this shade to be the sheerest of the bunch, I find this to be the most pigmented. It works great as both a blush and a lip balm, but also works nicely on the eyelids for a casual day time look. It builds up nicely too, so you can add extra on the lips for a more pigmented finish. The Tinted Ultimate Red can look rather pigmented when you first squeeze it out of the tube, but it isn't as bold as you'd first imagine it to be. I personally find that this shade works best as a blush, but it also works great as a subtle tinted lip balm. You can build it up on the lips, but I find that the more that you do so, it can settle into the creases on the lips. The Dr. PawPaw website has some great advice about layering it over lip liner for a bolder finish which will also work. The limited edition Tinted Red Sparkle is the same formula as the Tinted Ultimate Red balm, but with added glitter. The glitter included within it though is rather chunky glitter instead of a subtle shimmer. It works great on the lips as a glittery, tinted balm, but it can also be used on the cheekbones as a highlighter or on the decolletage. 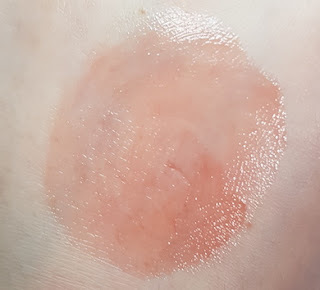 The swatch of this balm does not do it any justice. In person, the glitter looks very pretty and not dirty like the swatch seems to appear, like it has specks of dirt all over the lips. If using as a highlighter, I would recommend maybe wearing it as part of a bolder look rather than a casual one as the chunky glitter says more "party time" rather than "work time" to me. Otherwise, you could also rock it old school body glitter style, but without the horrendous smell of body glitter days (anyone else remember that smell?). Overall, I adore these balms. I have been head over heels in love with the original since I first tried it way back when, but now I have the tinted versions too I love them even more. Please don’t ask me to recommend one individual shade. What I have found out with these is that yes, they do have areas where they are stronger, but together? They’re a great team. I do think that these are best suited to those with a more minimalist approach to their beauty routine, but that doesn’t mean that they can’t be enjoyed by those who prefer doing more with their look. These are super casual so great for day wear. Think work, school, shopping and so on. If you love the just gotten out of the shower look, these are perfect. Want a casual beach time look? Again, they’re perfect. The possibilities with them are endless, so I highly recommend just buying the bunch and experimenting. 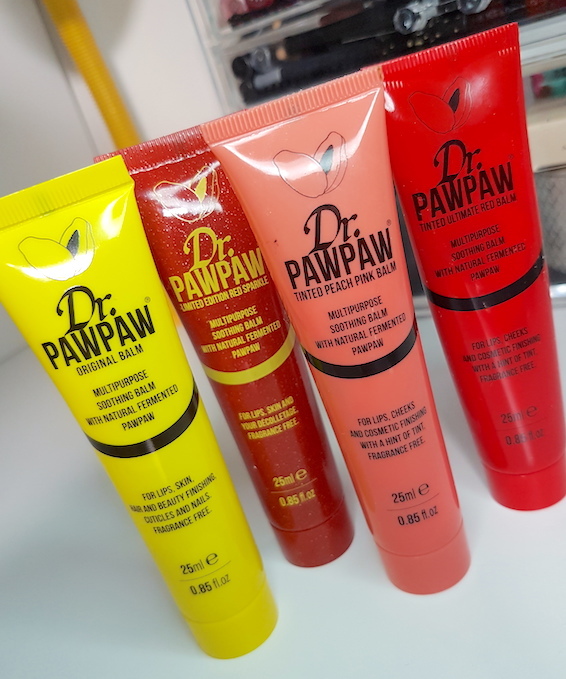 You can purchase the Dr. PawPaw balms from Feel Unique or Superdrug. 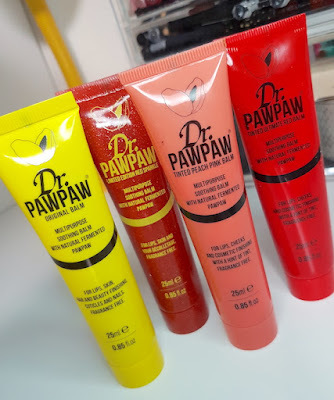 What are your thoughts on the Dr. PawPaw balms? Which shade is your favourite?